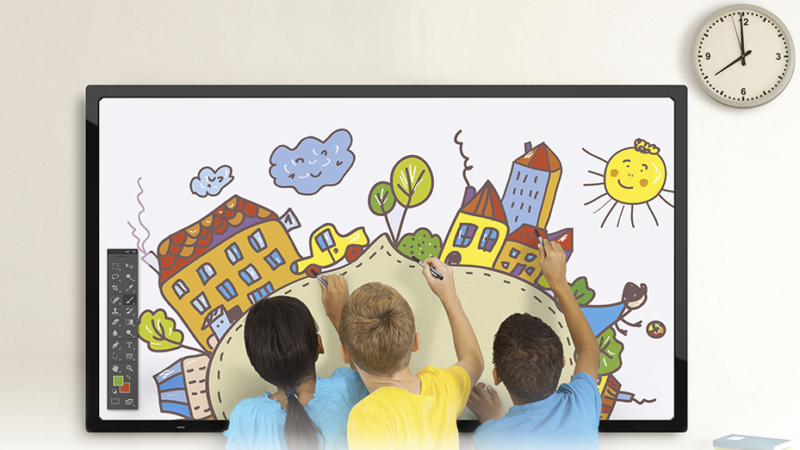 The education sector has for some time used interactive whiteboards to engage with students more dynamically. Touchscreen technology advances this success to the next stage, and is already having a huge impact on the way teachers and pupils interact with screen-based information and media. Yet purchasing the right technology and display is crucial. 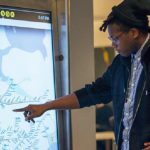 Children, students and teachers don’t have the time to learn a new operating system each semester, so touchscreen displays need to be intuitive, easy to run and install, simple to maintain, and cost effective. Bearing these factors in mind, we’ve rounded-up the key features to look out for when equipping a classroom with touchscreen display boards. This is fast becoming crucial in the modern classroom, and ensures students and teachers can interact with the display at the same time. 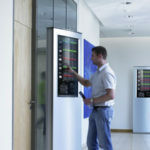 In short, multipoint touch means that a display recognises several different input areas as distinct gestures: so three or four people can be interacting with the display at the same time. 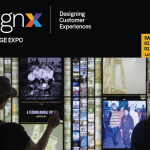 For problem solving and group exercises this is a fundamental advantage to single point touch interactivity typically seen in cheaper display options and advertising signage. There’s a great deal of expert educational research available which concludes that interactive touchscreen whiteboards have a positive influence on student attention and engagement levels. Key to this is ensuring everyone in the classroom can not only see the display, but also get a glare-free, distortion-free view from wherever they’re sitting. Without an unimpeded view, students don’t feel confident enough to engage with touchscreens and can become quickly distracted, disengaged and disruptive. Making sure students can present their work, reference their findings properly, or just share interesting and inspiring content is what makes digital whiteboards and touchscreens such an important and useful educational tool. Installing a display that enables students and teachers to quickly cast their own content (and ensures teachers can override and curate this content sensibly and easily) is another crucial factor in choosing a touchscreen display system. 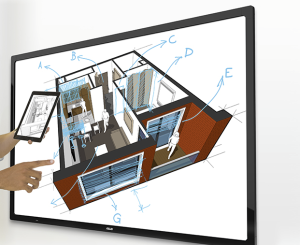 Displays which support a system, such as Miracast, enables users to do things like cast pictures from their smartphones to the classroom touch display, share a laptop screen with the class in real-time, or watch live programs and video on the main classroom screen at the same time as watching in smaller groups around a tablet or desktop display. Not all screens are built to the same standards. Look for an LED-backlit panel, which can be up to 50 per cent more energy efficient than conventional CCFL backlight displays. Robustness is also crucial, especially for multitouch displays being deployed in more junior classrooms. Some displays, like the ASUS SP6540-T 65″ Interactive Whiteboard Touch Display are mounted on a scratch-resistant metal chassis that delivers commercial-grade durability and reliability. And be sure your chosen display is VESA mount-compatible as well, and can be easily hung on any wall through a quick and easy installation.